Here’s some potentially bad news for Giants fans: Middle linebacker Jon Beason injured his right foot during off season training Friday. It appears he suffered a ligament tear and a fracture of the sesamoid bone. 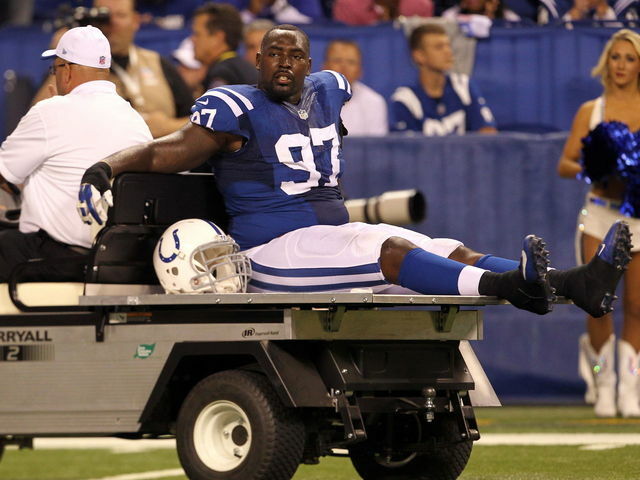 “You have freak injuries,” Beason said. “I was just changing directions… the movement was a little unorthodox, I was flexing with the big toe in the ground and then I pivoted on it all the way around. It’s a movement that I often do… I literally felt like I stepped in like a sprinkler head hole. I just felt it give right away. After limping to the sidelines and huddling with the training staff, Beason was carted off the field and taken to the Hospital for Special Surgery where he underwent an array of tests: MRI, CT, and x-rays. A definitive treatment plan has yet to be announced, but Beason’s status for the Giants’ regular season opener in Detroit is up in the air, as an injury like his typically requires a 12 week recovery period. Beason, a 3-time Pro Bowler, was drafted by the Carolina Panthers in 2007. He played only one game for the Panthers in the 2011 season when he ruptured his left achilles tendon, and in 2012, played in just four games before suffering a microfracture in his right knee, requiring surgery. Beason was traded to the Giants in October of 2013, and played in all 12 remaining games. At the end of the season, he was second on the team with 93 tackles. The Giants re-signed him in March and expected him to be a cornerstone of their defense this year. So what’s a sesamoid anyway? Most bones in our bodies are connected at joints, but not the sesamoids, which are connected only to tendons or embedded in muscle. Your kneecap is the largest sesamoid in your body, and the smallest are those found in the foot, two tiny, pea-shaped bones in the front of each foot that most people are unfamiliar with until they’re injured. Located just behind the big toe, the sesamoids act like pulleys, providing a smooth surface over which the tendons glide, increasing the leverage of the tendons controlling the big toe. The sesamoids also assist with weightbearing and elevate the bones in your biggest toe. But that’s assuming you have sesamoids – some people are born without sesamoids in their feet and experience no problems. If you damage the sesamoid bones in your feet, you’ll feel the pain in the ball of your foot, just behind the joint of the big toe. You may simply have an irritation of the tendons around the bones – called sesamoiditis, or you may have actually broken one of the tiny bones. If you suspect an unjury to the sesamoids, seek an evaluation from a podiatrist, the most knowledgeable physician to treat this uncommon injury. Before your appointment, stop the activity which caused the pain, take over the counter pain medicine like advil or aleve to manage the pain and soreness, and use ice to reduce swelling. The podiatrists at PA Foot and Ankle Associates are experts at treating sports injuries and are the best qualified physicians to diagnose and treat uncommon injuries of the foot and ankle. There goes what’s left of the Eagles’ offensive line. Monday night’s game against New Orleans was ugly. QB Michael Vick was sacked seven times and in the first quarter, Right Tackle Todd Herremans went out limping after he landed on the inside of his right foot with such great force that he dislocated bones all the way across the outside of his foot. Sort of like what happens when a car hits a brick wall at 50 mph – only his foot was the car. Eagles head athletic trainer Rick Burkholder described the injury as a dislocated cuboid bone in Herremans’ right foot, in addition to a slight fracture of his fourth metatarsal, ligament damage, and a slight tendon strain. “[On Tuesday], We took him over to the surgical center at the Navy Yard, and they numbed him from the knee down and they popped that [cuboid] bone back into place.” To test the stability of the joint, doctors placed Herremans under anesthesia and then attempted to pop the bone back out, but it stayed in. That was good news, as it indicated that the joint was stable, which was important for their prognosis and diagnosis. Burkholder said team physicians are leaning against surgery, since the ligaments appear to be stable but strained. Herremans, a fourth round draft pick in 2005, started his 100th career game Monday, and now joins center Jason Kelce on injured reserve. What is the Cuboid Bone? As the name implies, the cuboid bone is cube-shaped. 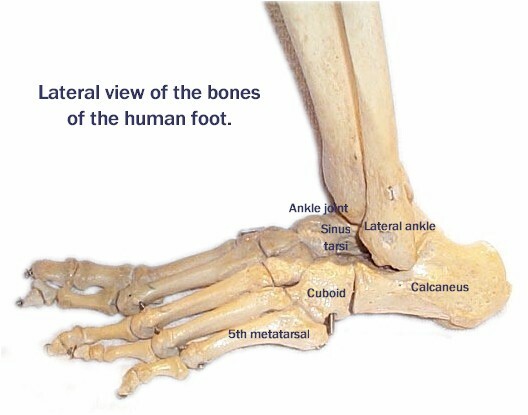 It’s one of the bones on the lateral (outside) side of the foot and plays an important role in keeping your foot and ankle stable so that you can walk in the unique way that humans walk. How the bones of the foot join each other is key in the gliding motion of the joints, which allow us to have that smooth foot movement from heel to toe. Without the unique spacing and stabilizing properties of the cuboid bone, your foot would be considerably stiffer and less stable and you would have much more difficulty executing that motion. Herremans was actually very fortunate that he didn’t sustain a “Nutcracker injury” which is more typical in his circumstances. In a Nutcracker, the cuboid bone serves as the nut, can’t contain the kinetic energy that comes in from the side of the foot, and it fractures under the pressure. A more common injury of the cuboid bone is subluxation, or ascuboid syndrome, in which the bone is pushed downward and out of place. With this injury, you might experience a dull ache along the middle of the outside of your foot, and you’ll have difficulty putting weight on it. The pain will not subside with rest or elevation. 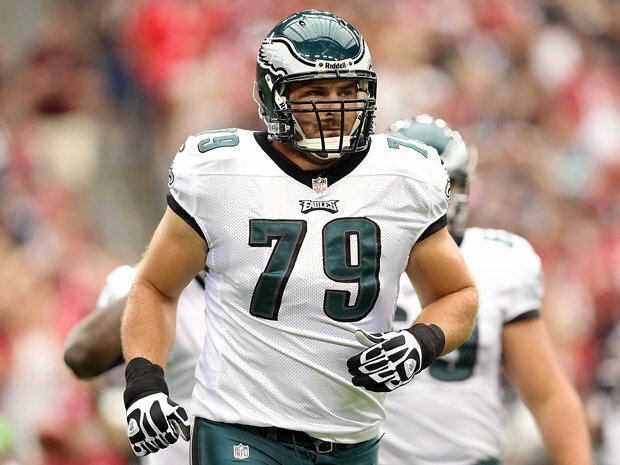 Burkholder said that Herremans would have to spend the next 8 weeks in a walking boot before starting physical rehab, but the Eagles do not consider Herremans’ injury career-threatening. They expect him to make a full recovery before training camp next summer. His IR status is unfortunate, as he has been the Eagles’ most consistent and versatile lineman over the last few years, and was the lone bright spot on an otherwise dismal o-line this year. New York Jets Wide Receiver Santonio Holmes was having a great 2012 season. He led the Jets with 20 catches for 272 yards and one touchdown. He and Quarterback Mark Sanchez were in sync, having their best game together two weeks ago in Miami when Holmes caught nine passes for 147 yards. But Sunday night against San Francisco, Holmes went down on the first play of the fourth quarter when he dropped to the turf after making a catch. His left leg buckled, and on the way down he grabbed his knee and dropped the ball, a fumble, which was scooped up by Carlos Rogers who ran it back for a touchdown. Jets lose 34-0. After x-rays, an MRI, and a few professional medical opinions, today the Jets placed Holmes on injured reserve with a Lisfranc (pronounced Liz Frank) injury to his left foot, which ends his season and will likely dog him for the rest of his career. That leaves the Jets without their most valuable offensive player. Stepping in for Holmes will be veteran wide receiver Jason Hill, a 2007 third round draft pick by the 49ers. The middle region of your foot is called the midfoot, where a cluster of small bones forms an arch on the top of your foot. From this cluster, five long bones, the metatarsals, extend to the toes. The metatarsal bones are held in place by connective tissues (ligaments) that stretch both across and down the foot. However, there is no connective tissue holding the first metatarsal to the second metatarsal and a twisting fall can break or dislocate these bones. Lisfranc injuries occur when bones in the midfoot are broken or ligaments that support the midfoot are torn. The severity of the injury can vary from simple to complex, and involve many joints and bones in the region. A Lisfranc injury is frequently mistaken for a sprain, especially if the injury results from a twist and fall, but this injury is quite serious and may require surgery and many months to heal. 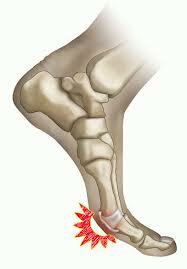 Women are susceptible to Lisfranc injuries on falls from high heels. The injury is named after the French doctor who first diagnosed it in 1815. A Lisfranc injury usually occurs when a heavy object falls onto the midfoot, such as when the foot is run over by a car or truck, or when a fellow athlete lands on your foot. In Holmes’ case, no contact was made with another player, so the injury probably occurred when his foot twisted too far in one direction while pointing downward. At this time, the Jets aren’t revealing how severe Holmes’ injury is, but since they stated that Holmes will undergo surgery, a fracture or dislocation is probably the culprit. If surgery is mandated, the bones may be fixed in place with a temporary screw or K-wire (a thin, rigid surgical wire used to stabilize bones). Holmes won’t be able to bear any weight on his foot for at least 6 weeks. Holmes helped Pittsburgh win the Super Bowl in 2009 and played a key role in the Jets’ run to their second consecutive AFC championship game in 2010. New York re-signed him to a five-year, $45 million contract last year. “My understanding is that he’s going to be back and make a full recovery,” Ryan said. Turf Toe is considered a relatively minor sports injury, but it can be quite painful. Known as a Metatarsophalangeal joint sprain in medical jargon, turf toe is basically an injury to the joint and connective tissue between the foot and the big toe. Most commonly associated with football players who play on artificial turf, it also affects athletes in other sports including soccer, basketball, wrestling, and gymnastics. Turf toe is usually the result of jamming the big toe into the ground, bending it backward beyond its normal limits, or repeatedly and forcefully pushing off the big toe as one would do when running or jumping. Many NFL players routinely have their toes taped before games to prevent this injury. “I see it in linemen—particularly the ones on the ends of the line. 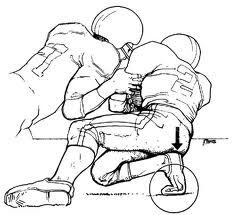 If that player gets overpowered and his knee is down on the turf and his foot is out behind him, and he falls back on his foot or somebody else falls on it, smashing the toe into the ground and hyperextending it. “The wrenching motions cause inflammation—swelling and stiffness—of the joint where the toe attaches to the rest of the foot, leading to difficulty moving the toe. We’ll often try to reduce the swelling and get movement in the joint back by icing the injury or treating it with ultrasound—which stimulates the tissue and causes increased blood flow to the area to speed healing. If motion around the joint is lost, turf toe can become a chronic problem, sidelining some players for up to a month. 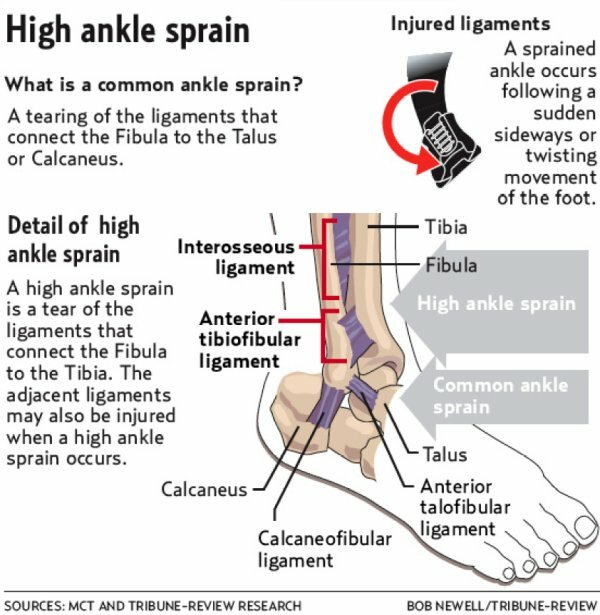 “In extreme cases, players can tear ligaments at the joint between the toe and the foot, sprain the joint or injure cartilage underneath the toe, separating it from the bone—by cracking or splitting it. In rare cases, two little bones on the balls of your feet behind the big toe called sesamoids—which are like little knee caps—can stiffen and begin throbbing or, worst-case scenario, fracture. You know you have turf toe when there’s pain, swelling, and limited joint movement at the base of one of your big toes. The symptoms usually develop slowly and get worse over time. But if it’s caused by a sudden forceful motion, sometimes a “pop” can be felt and the injury will be immediately painful, with symptoms worsening inside of 24 hours. It typically takes two to three weeks for turf toe pain to subside. In order to give your toe time to heal, the foot must be rested and the joint protected from further injury. The basic treatment for turf toe is the simple and reliable R.I.C.E. : Rest,Ice, Compression, and Elevation. Your podiatrist may recommend an over-the-counter anti-inflammatory/pain reliever such as ibuprofen (Advil) or naproxen sodium (Aleve), and may tape or strap the big toe to the toe aside it, or immobilize the foot in a cast or walking boot. In severe cases, surgery may be necessary. Physical therapy may be recommended after immobilization to re-establish range of motion, strength, and conditioning of the injured toe. One goal of treatment should be to evaluate why the injury occurred and to take steps to keep it from re-occurring. Your podiatrist may recommend wearing shoes with better support to keep the toe joint protected from excessive bending and force, and may also recommend using custom designed orthotics. A physical therapist or a specialist in sports medicine can also work with you on developing training techniques to help reduce the chance of re-injury. Unfortunately, turf toe often returns and can reduce the long-term function of the big toe joint. Arthritis of the big toe is quite common in those who suffer repeated turf injuries or trauma to the big toe joint.